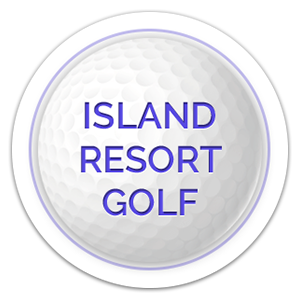 Experience one of the most scenic golf destinations in the Midwest, Island Resort & Casino. Located in Michigan’s Upper Peninsula just outside of Escanaba, Island Resort features 36-holes of championship golf. Sweetgrass and Sage Run, both designed by Michigan based architect Paul Albanese, are the centerpiece of this resort destination located among Pure Michigan’s Upper Peninsula landscape. Sweetgrass, which opened in 2008, is ranked among Golfweek’s Best Courses, as well as recognized by GOLF Magazine and Golf Digest as a Best in State ranking. The course features an open park-land layout with some of the game’s most fun greens to putt (Redan, Biarritz, Island, and Double-green). In addition, the course features some wonderful strategic holes including the famous island green No. 15, and some spectacular finishing par 5 holes on each side. Throughout the golf course, golfers will encounter a rich history of the Hannahville Indian Community with holes named after traditional Potawatomi clans, villages, allies, medicines and symbols. The dedication to nature and the area’s heritage make for a unique golf experience for any level of golfer. Sweetgrass is also part of the “Road to the LPGA” with its Symetra Tour Island Resort Championship featuring the future of women’s golf. Island Resort’s newest 18-hole course is Sage Run, which opened in 2018 and offers a contrasting style and design from its sister course Sweetgrass with its prairie links style. Sage Run meanders through beautiful Upper Peninsula hardwoods and open vistas with very dramatic views. A natural drumlin, or elongated hill or ridge formed by glacial ice long ago, is the primary feature on Sage Run. A variety of golf holes meander off of and around the hill offering a scenic variety of shots creating a fun thrill ride for golfers. The challenging combination of long holes with creative short par fours lined with fescue grasses and strategic bunkering will challenge golfers of all abilities. Albanese said Royal County Down in Northern Ireland, rated among the world’s top courses, served as inspiration. After a fun round of golf, guests can unwind at the Island Resort & Casino and enjoy all of the amenities that make it a true resort experience. The resort offers something for everyone including 326-rooms, gaming action with over 1,200 slot machines, table games and a poker room, the Drift Spa, multiple dining options from fine-dining to casual, live entertainment and more. Located in Michigan’s scenic Upper Peninsula 13 miles west of Escanaba, Island Resort & Casino is one of the Midwest’s largest golf, casino and entertainment resort destinations spanning over 408,000 square feet. The resort features 36-holes of championship golf, over 320 guest rooms and a 42-site RV Park. The casino offers a poker room, craps, blackjack, Spanish 21, three card poker, let-it-ride, roulette, bingo and over 1,200 slot machines. The resort amenities also include the tranquil Drift Spa offering a variety of high-end spa services with access to the resort’s salt-water pool, steam rooms and sauna. Multiple dining options include the signature 5 Bridges Steak and Seafood House, 5 Bridges Pub, Firekeepers Restaurant, T. McC’s Sports Bar, Coral Reef Grille, Signature Subs & Pizza and The Coffee & Custard Shop featuring items from The Bakery. The Island also regularly hosts headline entertainment in the intimate 1315-seat Showroom as well as weekly bands and comedy entertainers in Club 41. The Island Convention Center provides the perfect venue for special events, business meetings and weddings. Island Resort & Casino is wholly owned and operated by the Hannahville Indian Community, a federally-recognized tribe known as the Potawatomi. The current location was founded in 1884 under the direction of Methodist Missionary, Peter Marksman. The settlement was named Hannahville in honor of Markham’s wife, Hannah. In 1981, the original Hannahville Bingo Hall opened and shortly after, in 1985, the Chip-In Casino was opened. Later renamed again in 1998, the Island Resort & Casino has experienced consistent growth over the past 33 years featuring 24-7 gaming, six dining experiences, headline lounge entertainment, a full-service spa and fitness center, over 320 hotel rooms with an RV park, two championship golf courses and more making it a total resort experience.